It’s pretty serious. I can’t stop thinking about them. Imagining the things we can do together, how soft they feel, how vibrant they are. It makes me smile just typing this. So, let me introduce you to my crush. It was love at first sight. As soon as I saw the email announcing these 9 delicious colours in my favourite cotton I knew I had to have them. Normally I’m fairly restrained with my yarn purchases. I think about what I need for particular projects, what needs replacing in my stash and what I can afford. But this time, the limited nature and the awesomeness of the bright colours threw that restraint right out the window! I ordered all 9 colours in the 8ply and 7 in 4ply as well. That’s 3.2kgs of yarn in one hit! Now I have had them for a week. 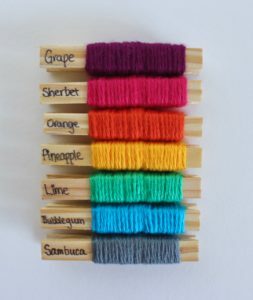 I’ve made my yarn pegs and come up with a few project ideas which I’d like to share with you. 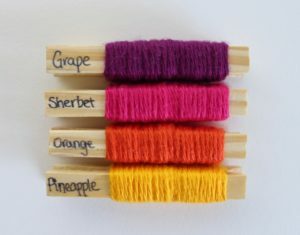 My first idea is inspired by the Grape, Sherbet, Orange and Pineapple crush. This combination reminds me of a beautiful sunset. You know those amazing photos that seem too good to be true but then you see a sunset just like it! Those ones that remind you of being on vacation somewhere tropical with not a care in the world. 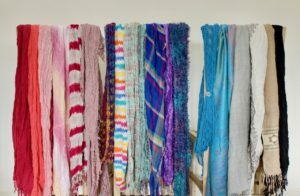 Well my plan is to harness that feeling into an airy wrap that you can put over your shoulders as you watch that sunset or wrap around your neck like a scarf to brighten up an overcast day. I’ve started playing around with stitches and I’ll keep you updated as it progresses. 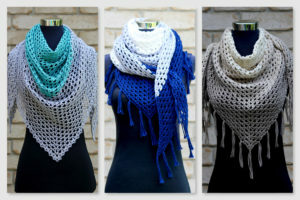 My second idea is also in the scarf category. *is my slight obsession with scarves showing? I’ve started this one already. 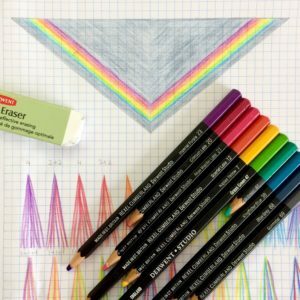 I am going to make another Almost a Granny Triangle Scarf using the Sambuca crush as a base colour with a stripe of rainbow colours near the outer edge and a rainbow fringe. I have made 3 of these scarves already. Two for myself and a third for my friend Maggie. Each has been a little different in colour, yarn and hook size and finishing edge. This time will be slightly different too. I’m using the 4ply with a 3.75mm hook for a slightly tighter pattern than my other 4ply scarf. I am also planning of using both the edging pattern and a fringe to see how it goes. The only thing I’m not sure about yet is whether my rainbow fringe will be single or multicoloured in each bunch. I have a few ideas to play around with so we’ll see what happens! 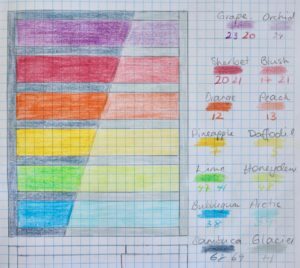 The next plan is a blanket using the 8ply Cotton Crush with some exisiting cotton colours. 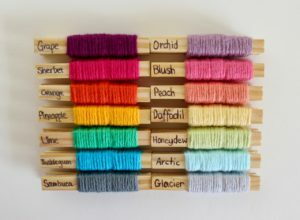 I was playing with the yarn pegs and matched up a bright rainbow with a pastel rainbow. It struck me that it looked like the before and after of a outdoor awning or deck chair that’s been left out in the sun for years. I love that faded bright beachy look almost as much as I love the bright colours themselves. This is my plan for the before and after blanket so far. I only have a small amount left of the Orchid, which is a discontinued colour, so I put the divide on a slant and I kind of love it! What do you think? I’m not sure what stitch/es I’ll use yet but I’m feeling the need for a bit of nice texture. The final idea is back to the scarf arena. 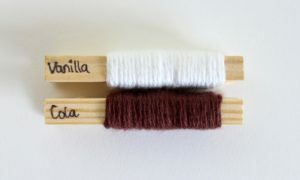 This time I’m thinking a cowl using the 8ply Cola Crush and Vanilla Crush, which to me says Vanilla Cola, bubbles and fizz. So I’m playing with texture and circles but I don’t have much to share on that yet. Thanks for letting me introduce you to my crush. 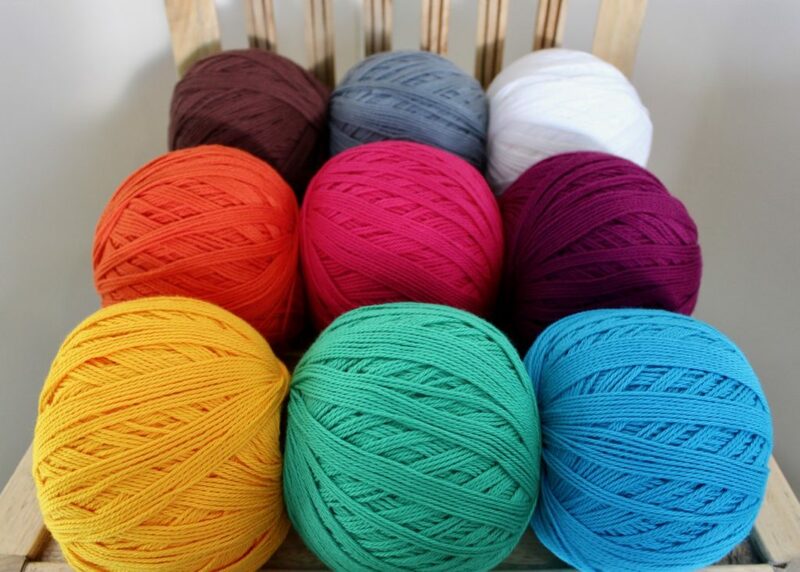 Do you have a crush on a particular yarn range or yarn pack? 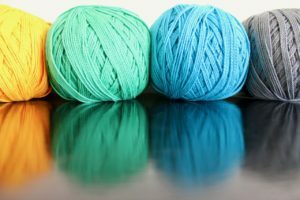 Let me know your yarn crush below or on one of my social media channels. ← How creativity helped me find myself again. Thanks 😊 Their yarn is so awesome. I would love to go to the Wool Show but I live near Brisbane and won’t be able to make it. 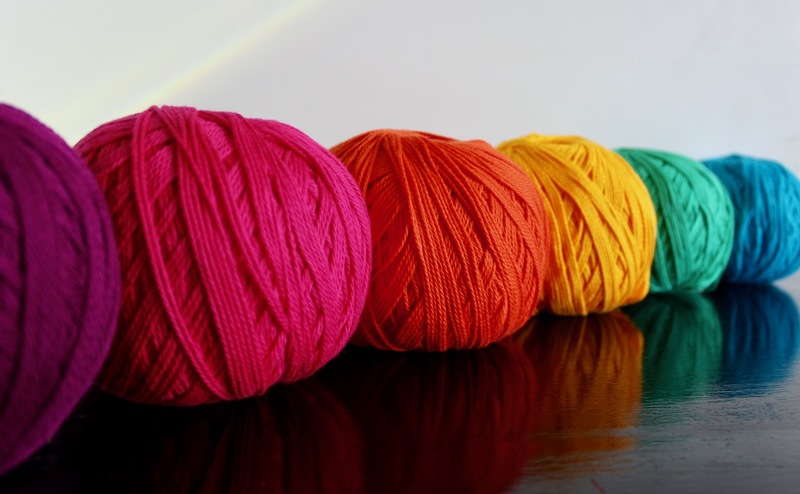 I wish I’d discovered my love of yarn when I still lived in Echuca! Enjoy if you go. I’d love to hear about it.